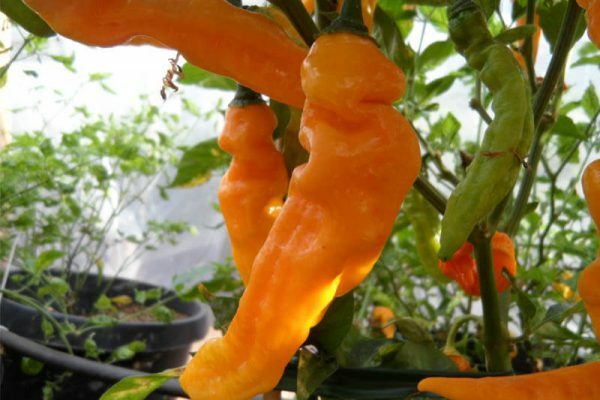 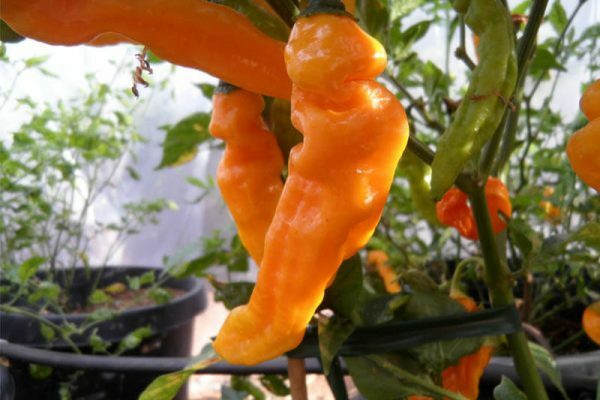 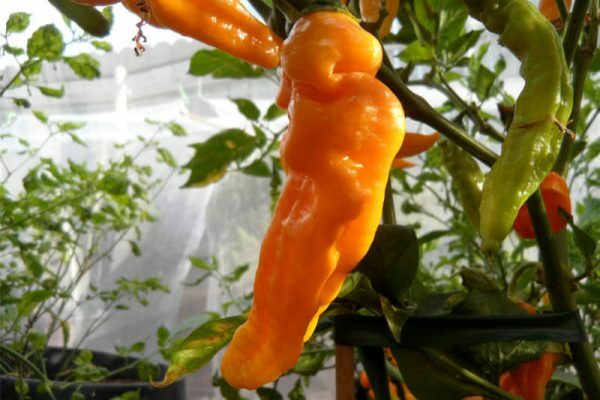 This is a medium heat habanero pepper that resembles a Fatalii or Devil’s Tongue. 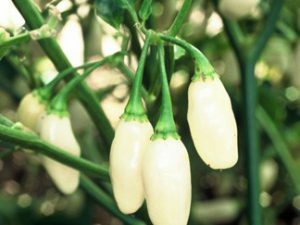 The tip of the pepper is blunt instead of coming to a point. 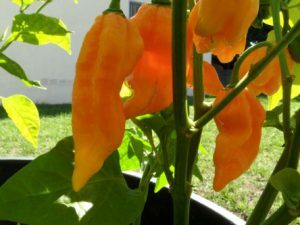 The pods are 3 to 6 inches in length. 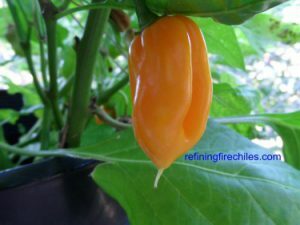 A delicious hot seasoning pepper from the island of Tobago. 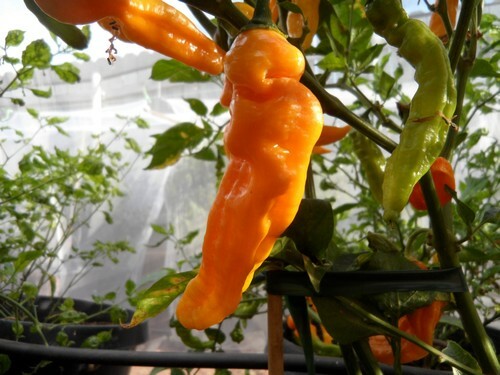 Slightly sweet it would be good for a sauce or salsa. 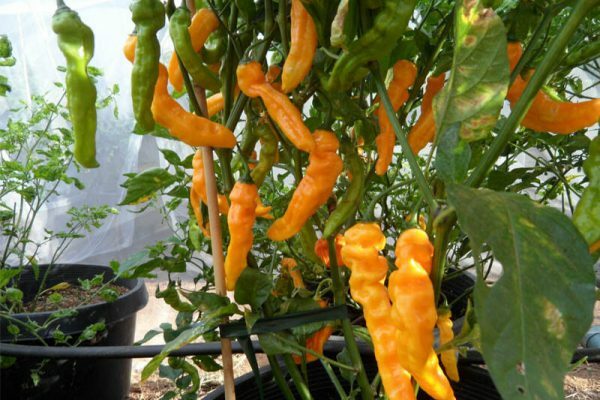 The Tobago Treasure chile plants can grow to a height over 3 feet. 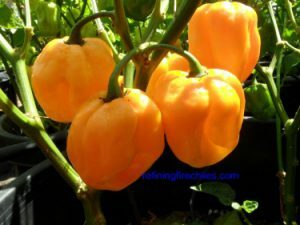 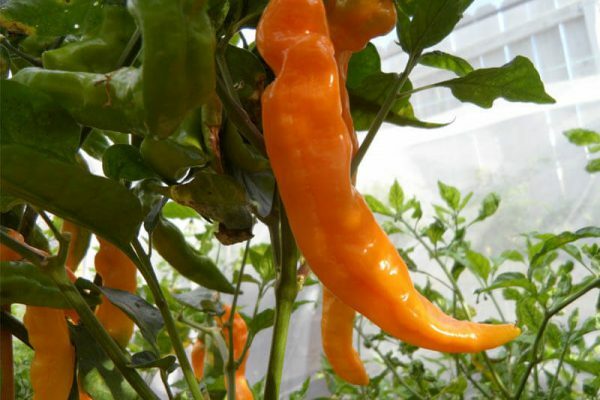 They are a very productive chile plant that will reward you with lots of chile peppers. 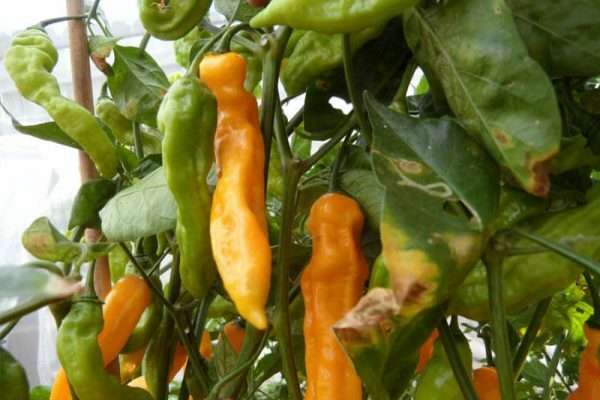 Peppers ripen from green to golden yellow. 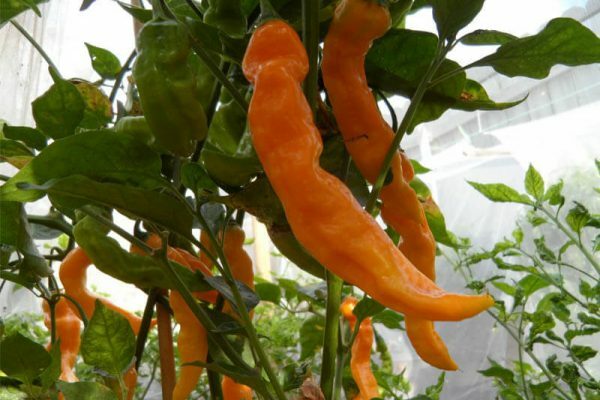 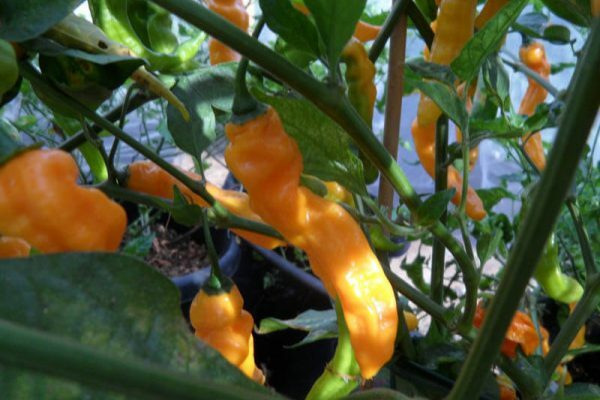 The Tobago Treasure chile pepper plants can reach almost 4 feet in height.